The Deluded Informer- Survey 4- Does this "turn you on"? The Deluded Informer presents: Survey 4-Does this turn you on? 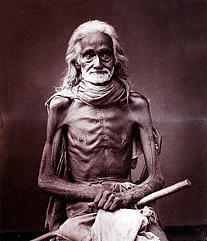 This elderly, emaciated Ceylonese man lived in India during the 1880s. He was a fisherman, subsisting mainly on kippers and trout. He lived a simple life, and didn't ask for much. Material goods did not bring him pleasure. Our question for you this week is whether he "turns you on"? Does he "float your boat"? How about does he "push your buttons"? Please, do tell. Give it to me Baby--uh huh uh huh! He's not my type. He's probably good in the sack!